Comprised of All-Ireland champion musicians, the band provides a quality wedding service, which includes the best of traditional Irish music and vocal harmonies. The number of musicians can be one, two, three or more depending on your preference. Irish traditional dancers frequently perform with the band and the members have toured throughout the world over the past 10 years representing Ireland at various world renowned festivals and corporate functions. The 'Dublin City Folk Trad Band' guarantees a highly professional service at a most competitive price. 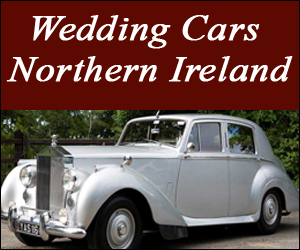 The 'Best Ballads and Trad Music' specializes in Irish weddings, drinks reception, corporate functions etc. We guarantee the best prices. Also featuring All-Ireland champions on the flute, uileann pipes, banjo, mandolin, fiddle, and bodhran. Ceilis a speciality. Instruments played in the band include: Uileann Pipes, Banjo, Flute, Fiddle, Bodhran, Guitar, Tin Whistle, Mandolin, Piano/Keyboards, Harmony Vocals. Ceili Bands with professional caller. Irish Dancing a la 'Riverdance'. Uileann or Scotish pipers for drinks reception. Church Music to your requirement - professional soprano/ tenor on request. throughout Ireland. Marie’s repertoire is very extensive and her music varies greatly. She has built up a large body of classical and traditional wedding pieces. Marie offers competitive rates as a wedding singer, and she adds to this with her ability to captivate audiences with her beautiful voice. Tim Doyle an all Ireland champion on fiddle and uileann pipes is amongst the foremost exceptionally talented musicians in Ireland. Classically trained on the violin and playing with the trinity college quartet he has played with many of the most famous in Ireland and has recorded for films and entertained famous actors and actresses including most recently American actress glen close for the film Albert Hobbs. Pictured here with clem and all ireland champion Alison who plays frequently at our church masses and services and blessings.